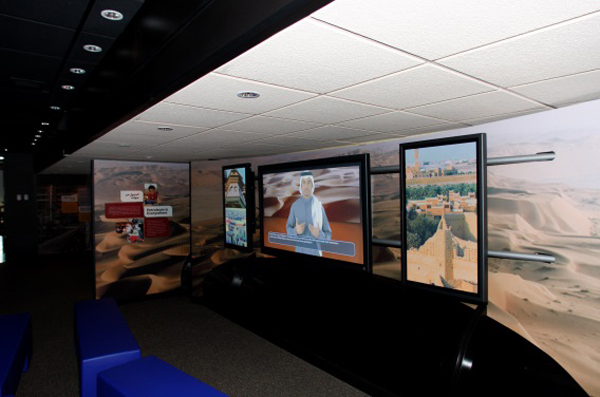 This project consisted of outfitting a 52ft expandable trailer as an exhibit highlighting the history of the Arabian Oil Company Saudi-Aramco. 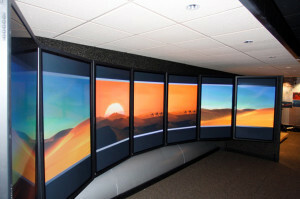 The trailer contained four areas in which a user would simply push a button to playback a video segment describing the exhibits in that room. The last area contained an additional seven plasma displays that played back a short musical video. 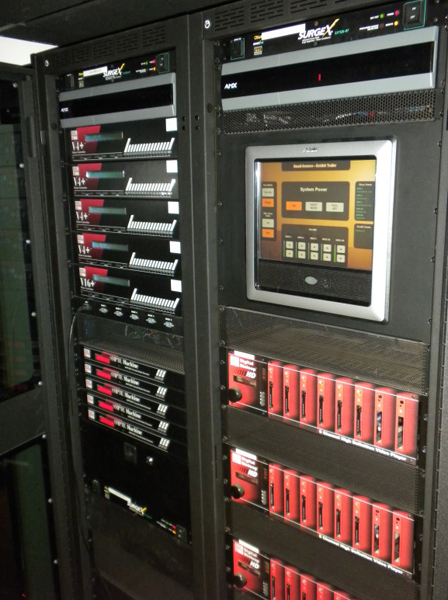 The Equipment used was Alcorn McBride Digital HD Binloop Compact Flash card video players with an Alcorn McBride show controller. An AMX system was installed to perform administrative tasks such as lighting control and power up and down sequencing. A simple push button was used in each room to trigger the start of that area’s show which consisted of (3) separate videos that would all start at once. The videos were synchronized so that all three screens looked like one single video segment – Note: narrator would walk from one screen to the next in the videos. Specific timing cues were set up in the program for the lighting system and a motorized lift that would exhibit a rock core sample.